High temperatures are forecast across Ohio this week and next week, and the Ohio Department of Health (ODH) is urging people to take precautions to prevent potentially dangerous heat-related illnesses, including heat stroke and heat exhaustion. Here are some tips to follow during periods of high temperatures and high humidity. Family, friends and neighbors are urged to periodically check on the elderly and those with chronic medical conditions since they are among those at highest risk for heat-related illnesses. Encourage them to stay in air-conditioned environments as much as possible, and to look for an air-conditioned shelter if necessary. Recommend that they take cool showers or baths to cool down. Tell them to seek medical care immediately if they have symptoms of heat-related illness like muscle cramps, headaches, nausea or vomiting. Help your body sweat and cool down by staying well hydrated with water. Don’t wait until you are thirsty before you start drinking water. Adults should drink eight 8-ounce glasses of water each day. 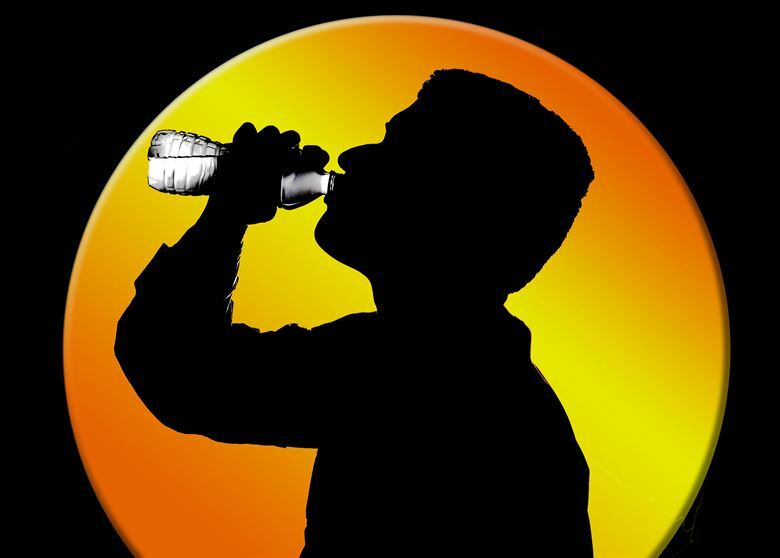 Monitor your body – you may need to drink more on hot and humid days. Plan outdoor activities for the early morning or evening when the sun is less direct. Use a broad-spectrum sunscreen that protects against UV-A and UV-B rays and has a sun protection factor (SPF) of at least 15. Very young children may become preoccupied with outdoor play and not realize that they are getting overheated. Adults should require frequent breaks and bring them indoors for a cool drink. Children or youths involved in team sports should be closely monitored for signs of heat stress. Consideration should be given to shifting practices and games to cooler times of the day. Heat stroke is a potentially life-threatening condition, characterized by a body temperature of 103 degrees or higher; red, hot and dry skin with no sweating; rapid pulse; headache; dizziness; nausea; confusion; unconsciousness; and gray skin color. People experiencing heat stroke need immediate medical assistance – call 911. Never leave pets in vehicles. Even if the windows are cracked open, interior temperatures can rise almost 20 degrees within the first 10 minutes. Click for more information on heat-related illnesses.